N Jan 05 2019 3:55 am Is he woo bin dongsaeng or what..? ?he's so cute..his character in the drama "less than evil" was so mean but he nailed it.Never saw him before in any drama..
Kdramas Oct 03 2018 1:54 pm His smile reminds me of Kim Woo Bin, anyone else think that? I can tell this guy is going to become a big actor ... I hope . L Sep 06 2018 4:05 am i think he looks like rapper Kanto ? 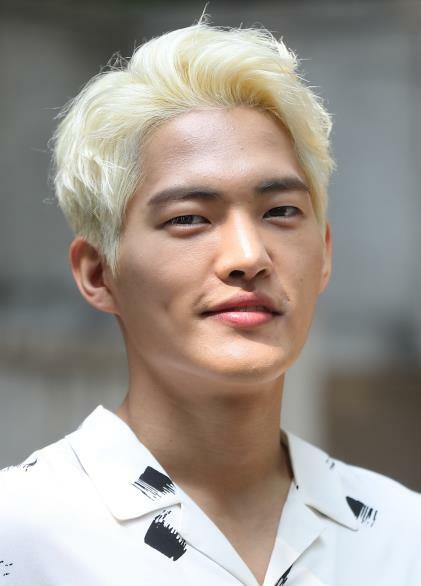 purplesplash May 10 2018 3:21 pm he looks like Kim woo bin oppa..
CL Jan 03 2018 1:26 pm He looks like kang ha neul? Raon_0912 Dec 16 2017 4:37 pm I think he is similar to Kim Woo Bin, especially his "bad guy" smile. But I was surprised when I saw Fight for my way was his only one drama. Mikey Nov 30 2017 3:43 pm It makes no sense that this is his first drama. Why does his face look familiar? niah Sep 17 2017 12:16 am idk but i love him, he looks familiar. dunno nugu ? Nazanin Aug 20 2017 2:26 am Haha he can ba a bad boy ?????? Rania Aug 15 2017 2:02 pm Is Fight for my way his debut drama? he never acted before? WonderFanGirl Jul 18 2017 6:43 am Just wonder, is he a new actor? Hes good as a bad boy. haha. Looking forward to see him in more drama/movie/variety show.